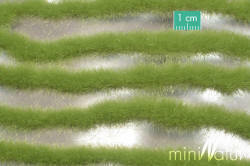 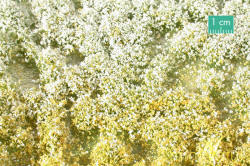 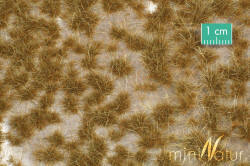 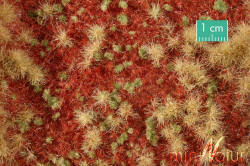 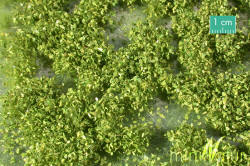 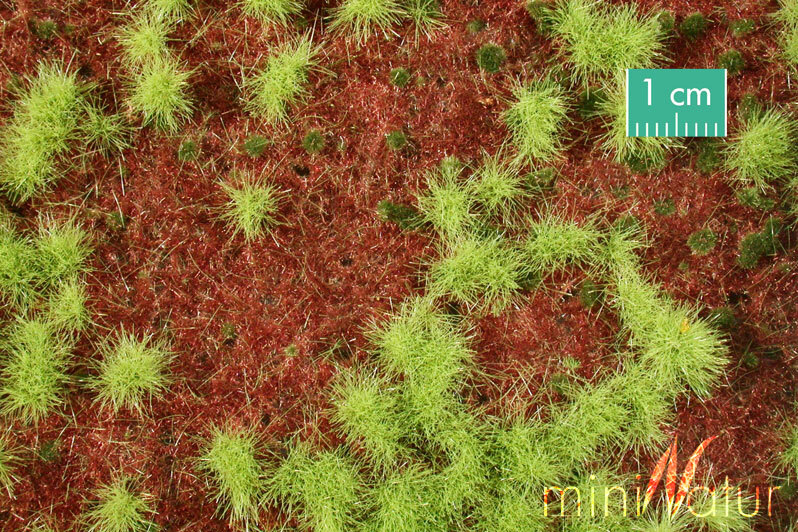 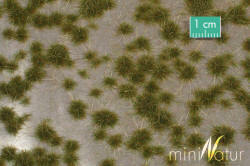 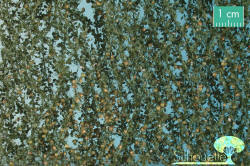 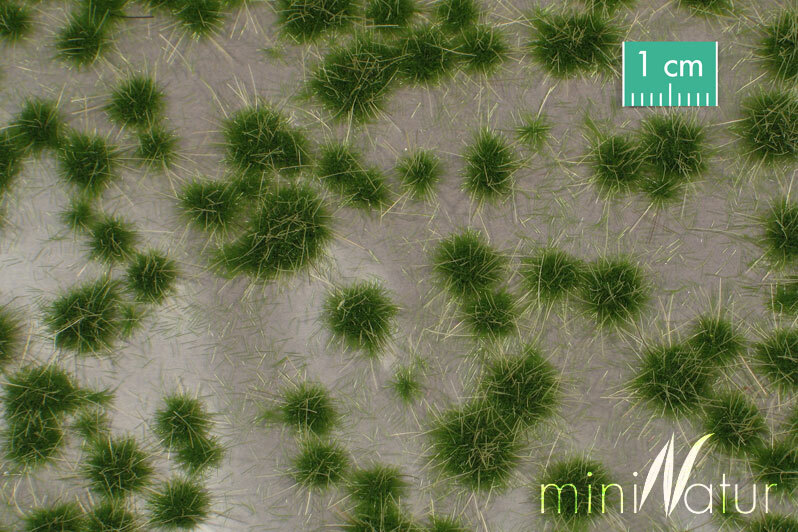 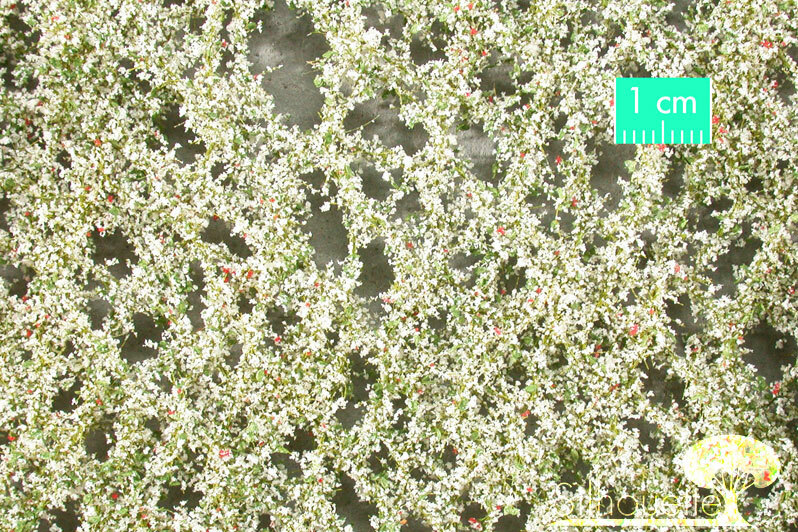 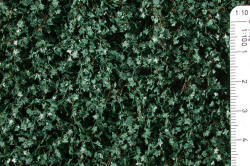 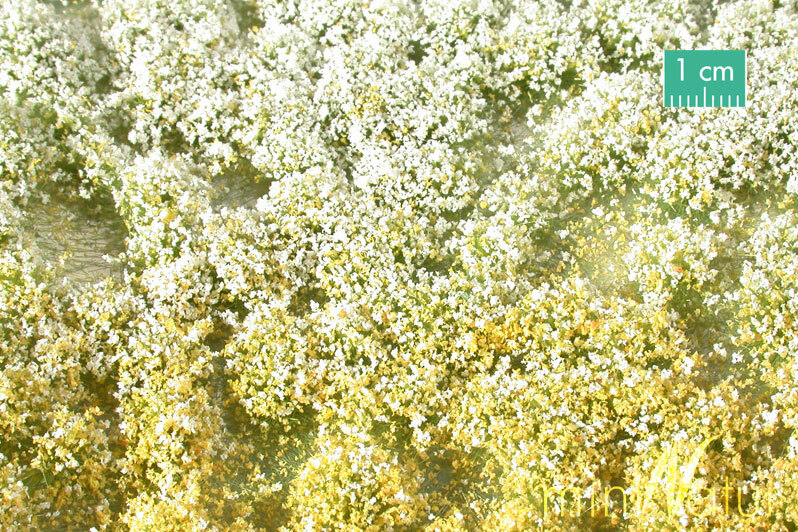 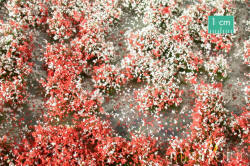 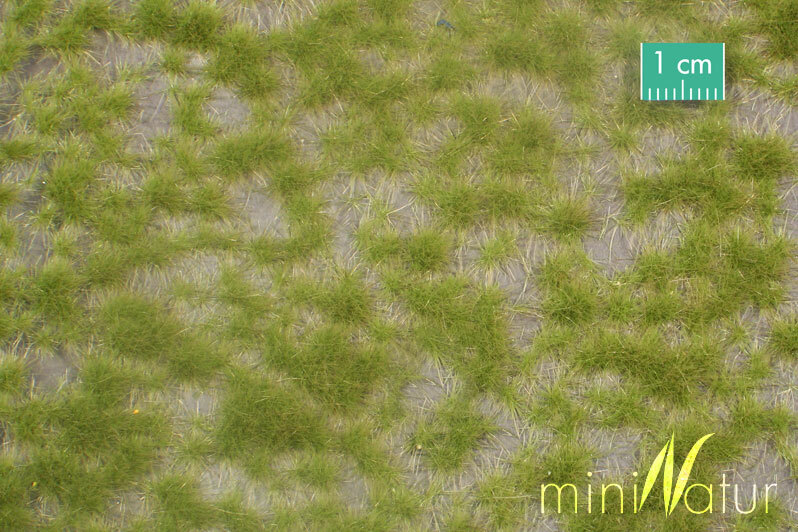 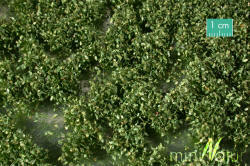 miniNatur's spring long grass strippack contains eight grass strips with leaves, with a top covering of white blossom. 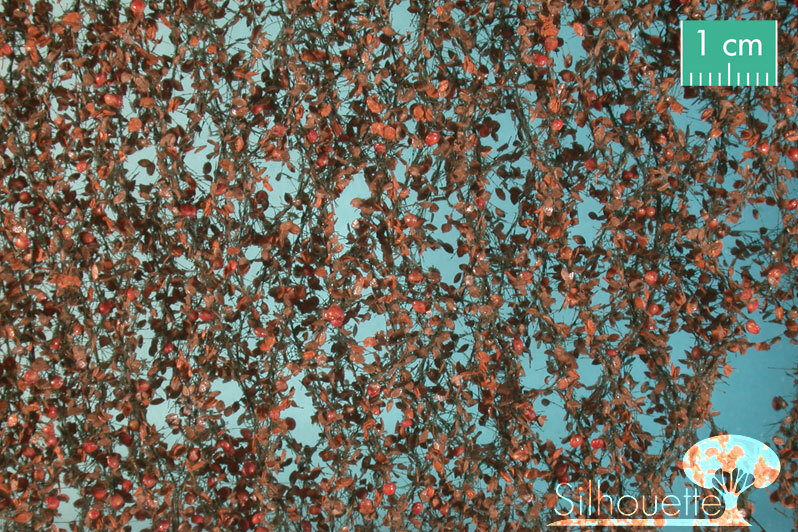 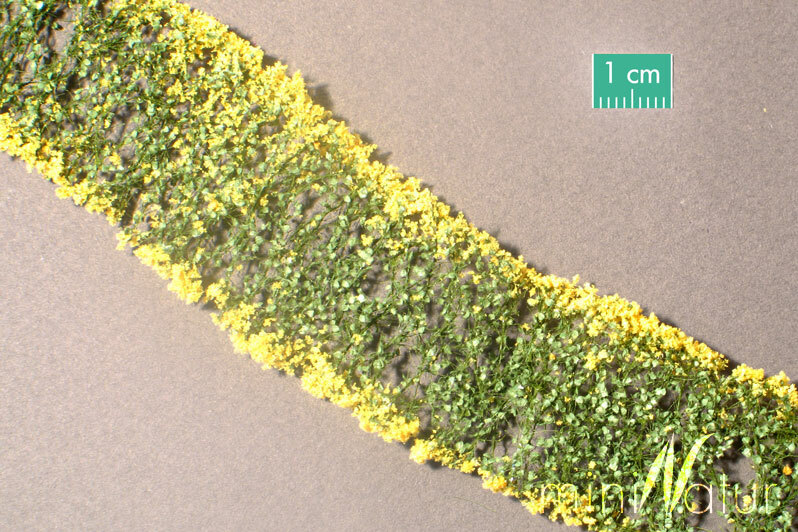 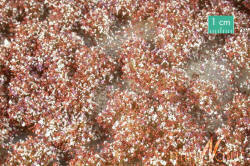 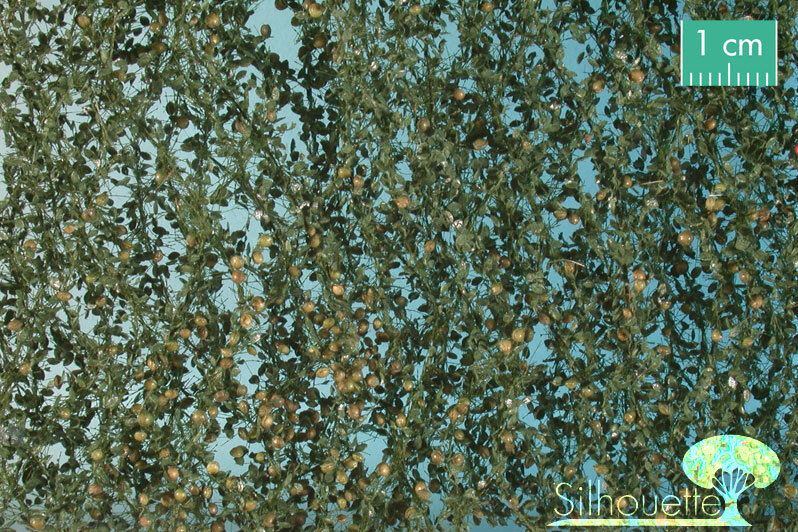 Each blossom strip is approximately 9cm long. 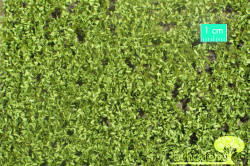 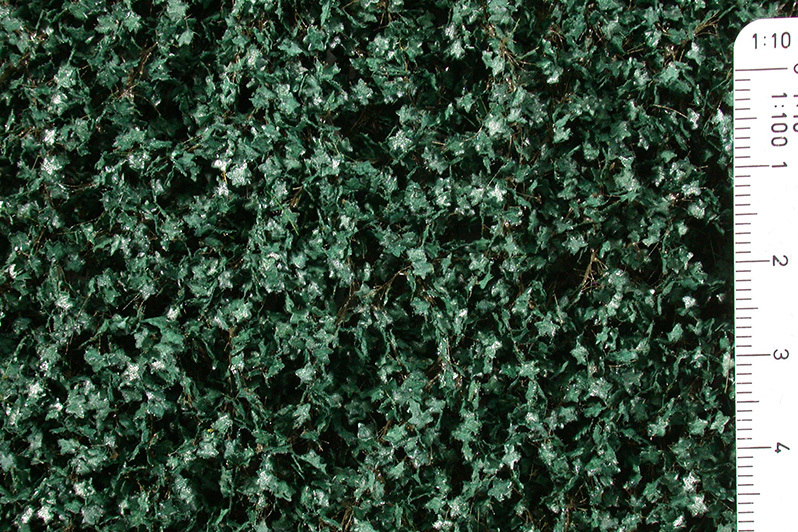 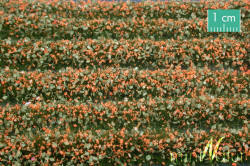 Perfect for imitating ornate flower beds, field margins, or rows of crops. 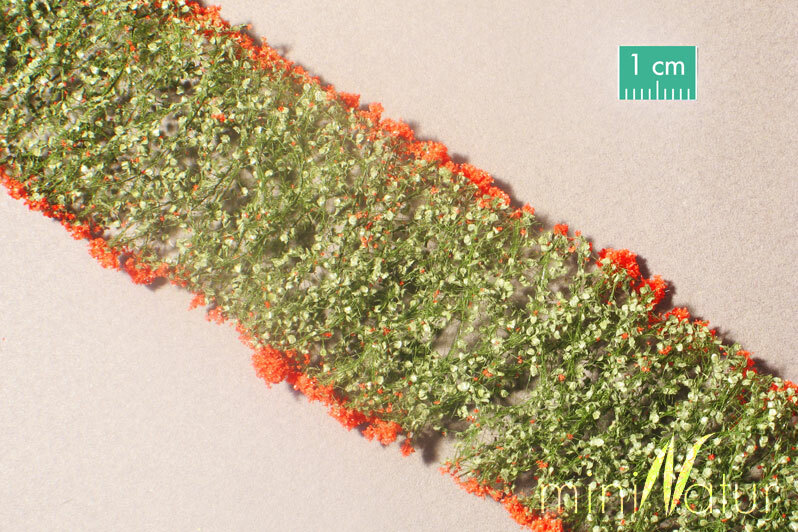 To use, simply pull the strip from the plastic backing and glue it in place. Supplied in a semi-rigid clear plastic box.glue it in place. 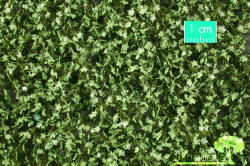 Supplied in a semi-rigid clear plastic box. 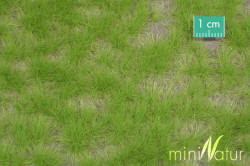 miniNatur's summer long grass strips pack contains eight grass strips. 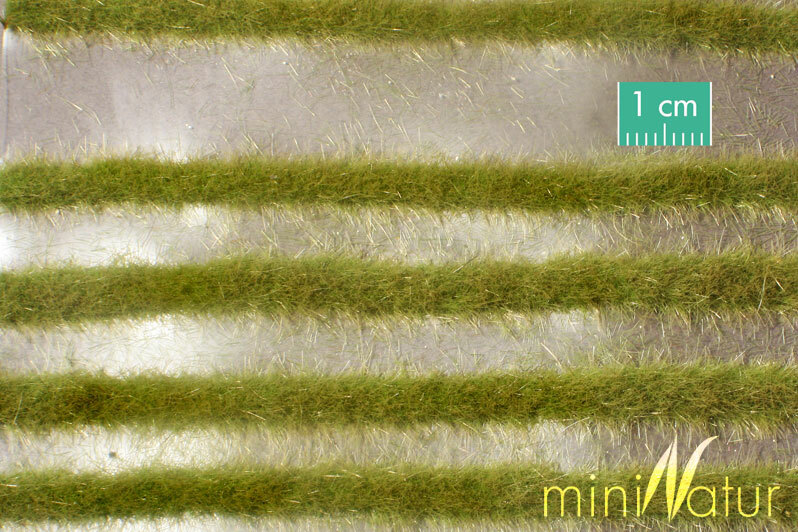 Each long grass strip is approximately 9cm long with grass 5mm high. 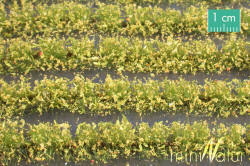 Perfect for imitating field / road / railway margins, or rows of crops. 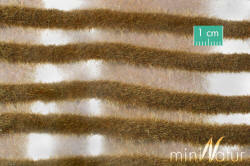 To use, simply pull the strip from the plastic backing, cut it to the desired length and glue it in place. 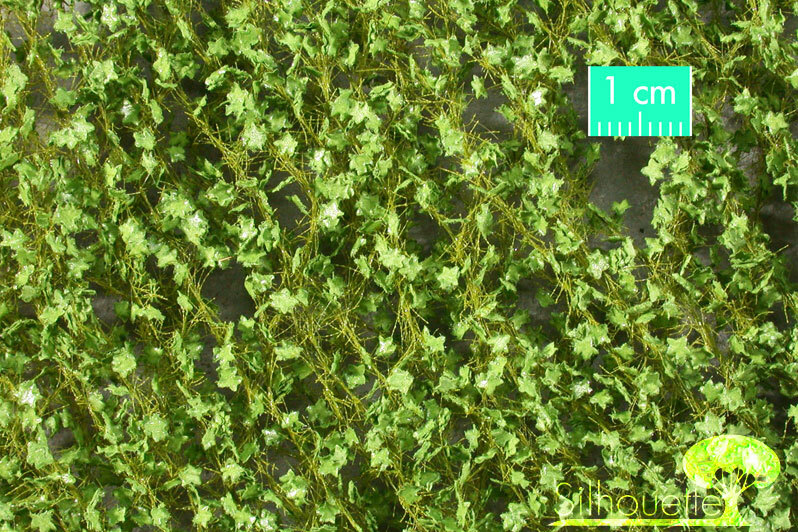 Supplied in a semi-rigid clear plastic box. 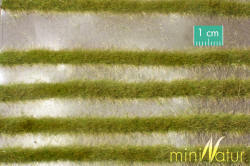 miniNatur's early fall long grass strips pack contains eight grass strips. Each long grass strip is approximately 9cm long with grass 5mm high. 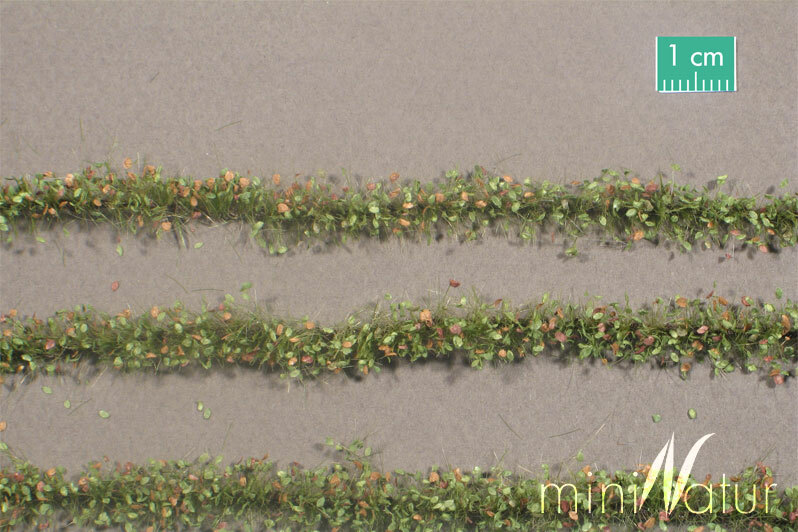 Perfect for imitating field / road / railway margins, or rows of crops. To use, simply pull the strip from the plastic backing, cut it to the desired length and glue it in place. 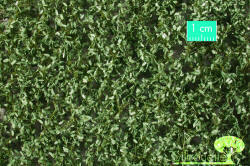 Supplied in a semi-rigid clear plastic box. 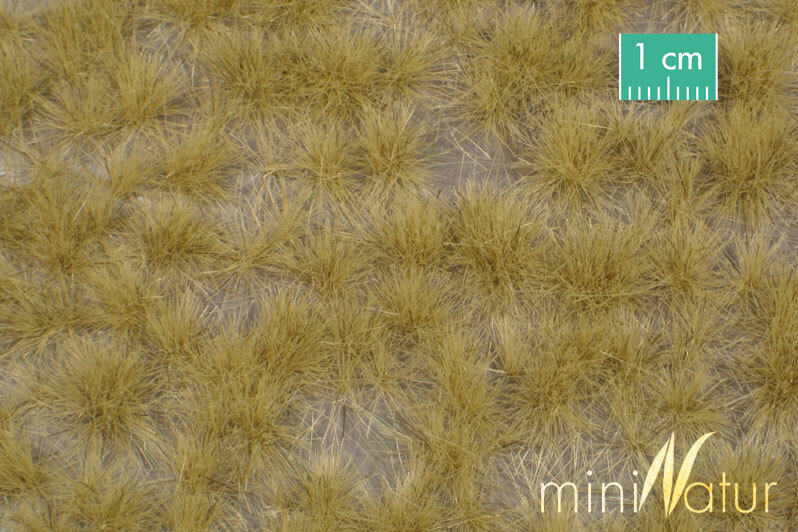 miniNatur's late fall long grass strips pack contains eight grass strips. 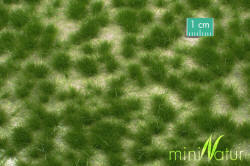 Each long grass strip is approximately 9cm long with grass 5mm high. 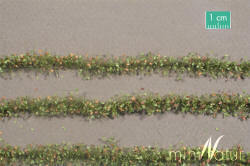 Perfect for imitating field / road / railway margins, or rows of crops. 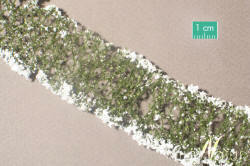 To use, simply pull the strip from the plastic backing, cut it to the desired length and glue it in place. 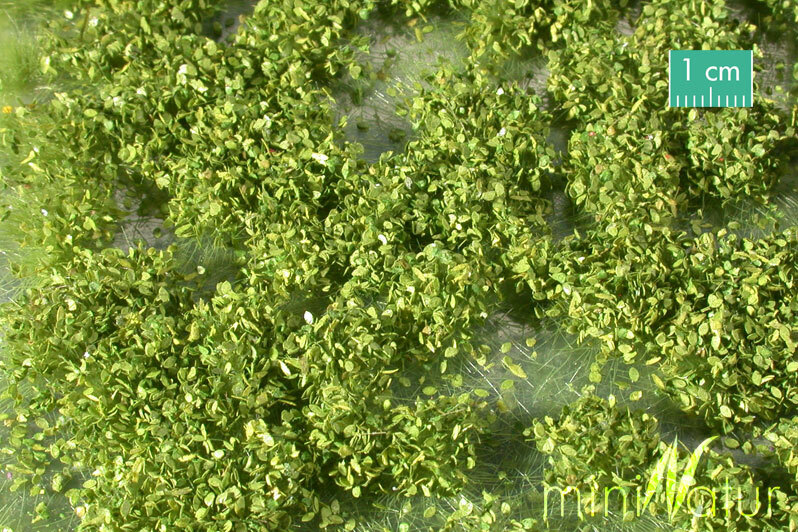 Supplied in a semi-rigid clear plastic box. 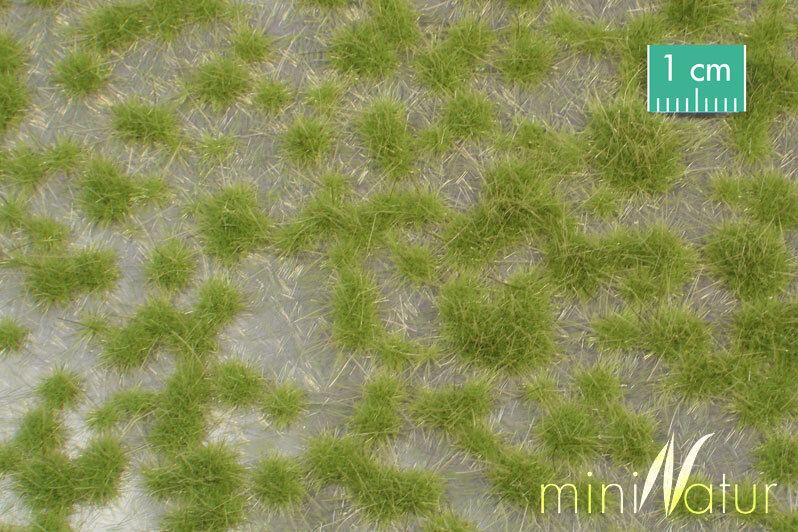 miniNatur's spring karst grass strips pack contains eight grass strips made from two different colours. 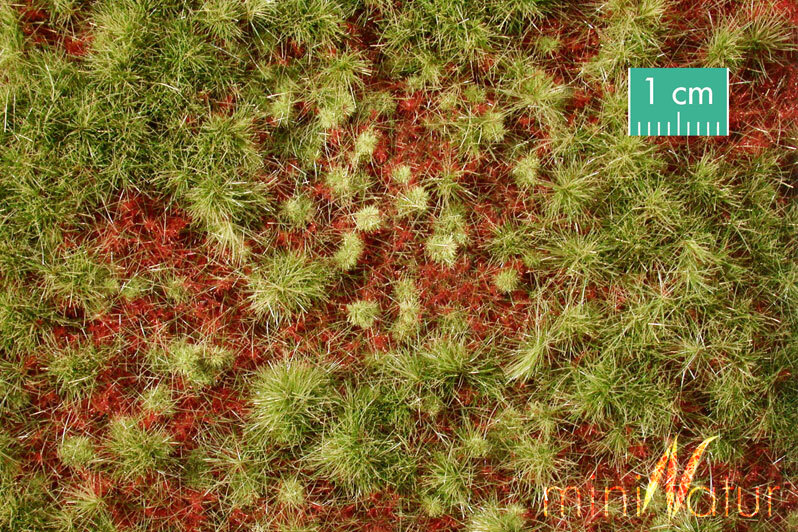 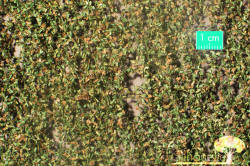 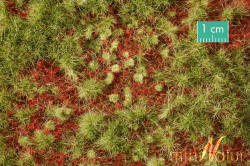 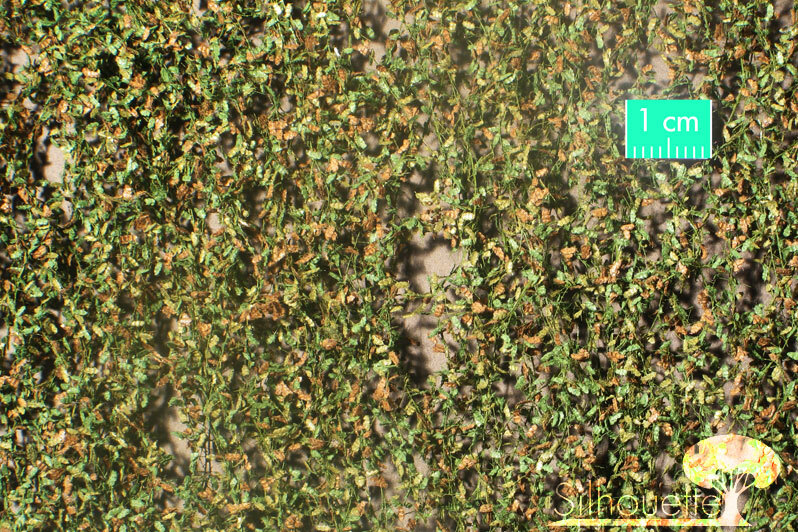 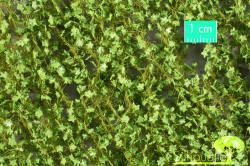 Each grass strip is approximately 9cm long with grass 5mm high. 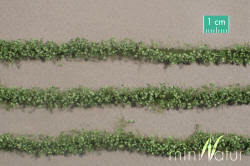 Perfect for imitating field / road / railway margins, or rows of crops. 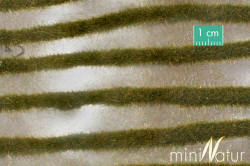 To use, simply pull the strip from the plastic backing, cut it to the desired length and glue it in place. 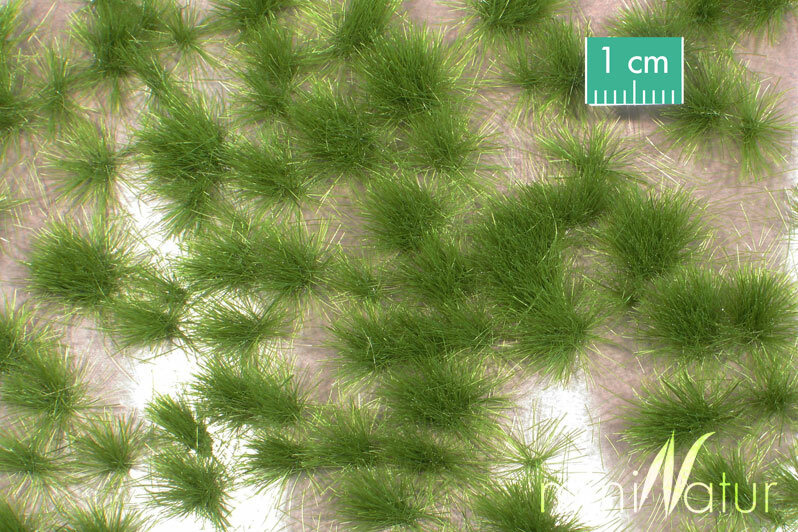 Also described as Calcareous grass strips. 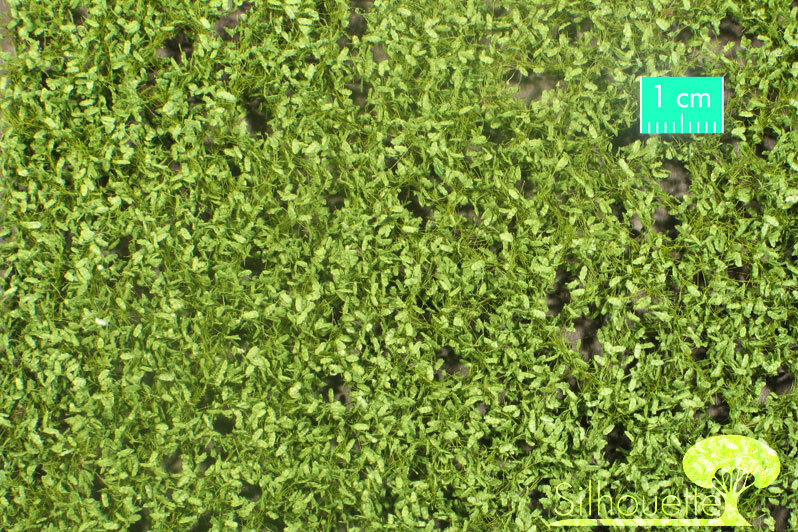 Supplied in a semi-rigid clear plastic box. 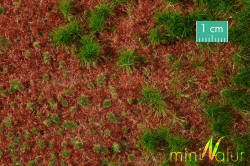 miniNatur's summer karst grass strips pack contains eight grass strips made from two different colours. 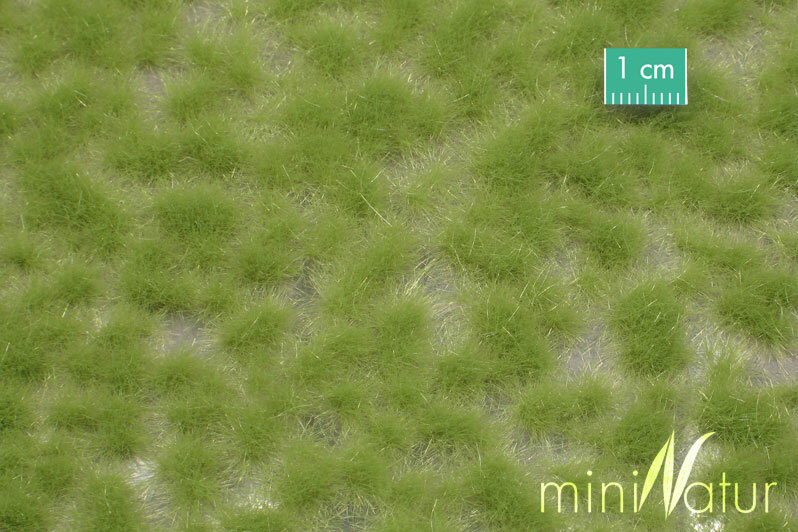 Each grass strip is approximately 9cm long with grass 5mm high. 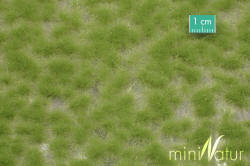 Perfect for imitating field / road / railway margins, or rows of crops. 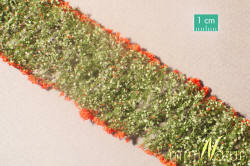 To use, simply pull the strip from the plastic backing, cut it to the desired length and glue it in place. Also described as Calcareous grass strips. 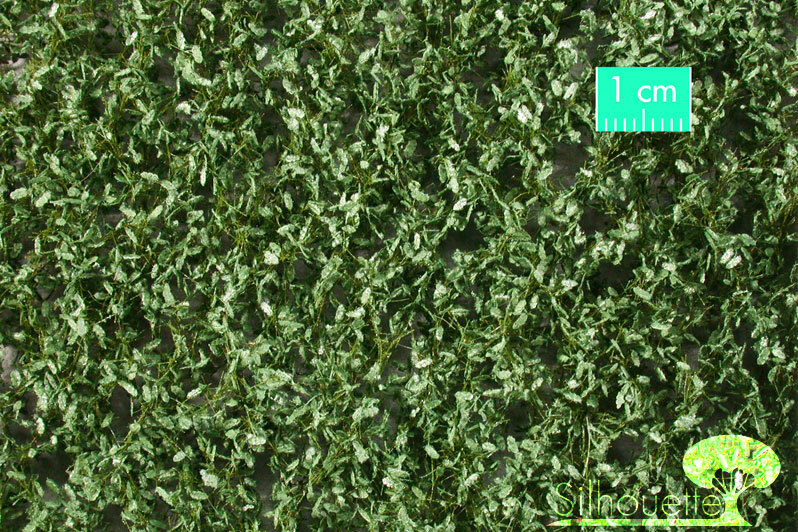 Supplied in a semi-rigid clear plastic box. 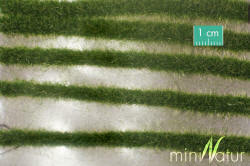 miniNatur's early fall karst grass strips pack contains eight grass strips made from two different colours. Each grass strip is approximately 9cm long with grass 5mm high. 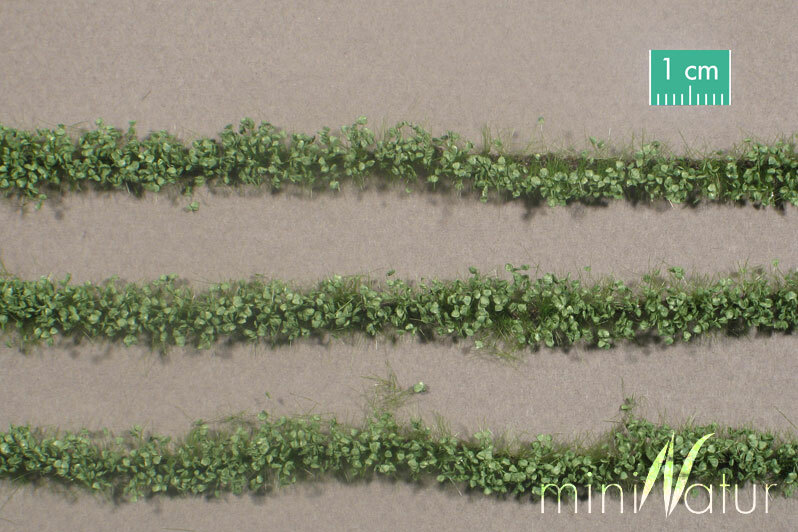 Perfect for imitating field / road / railway margins, or rows of crops. 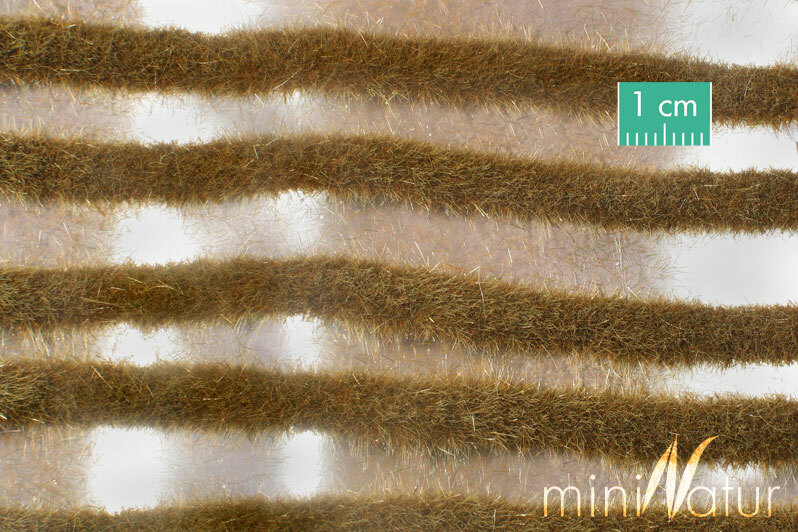 To use, simply pull the strip from the plastic backing, cut it to the desired length and glue it in place. 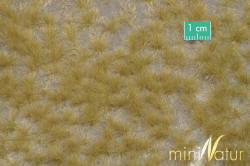 Also described as Calcareous grass strips. Supplied in a semi-rigid clear plastic box. 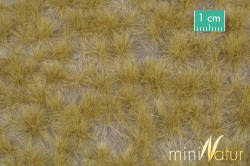 miniNatur's late fall karst grass strips pack contains eight grass strips made from two different colours. Each grass strip is approximately 9cm long with grass 5mm high. 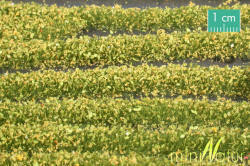 Perfect for imitating field / road / railway margins, or rows of crops. 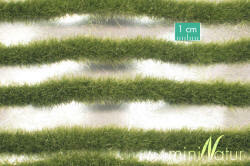 To use, simply pull the strip from the plastic backing, cut it to the desired length and glue it in place. 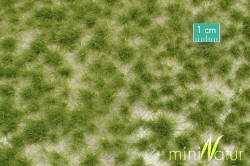 Also described as Calcareous grass strips. 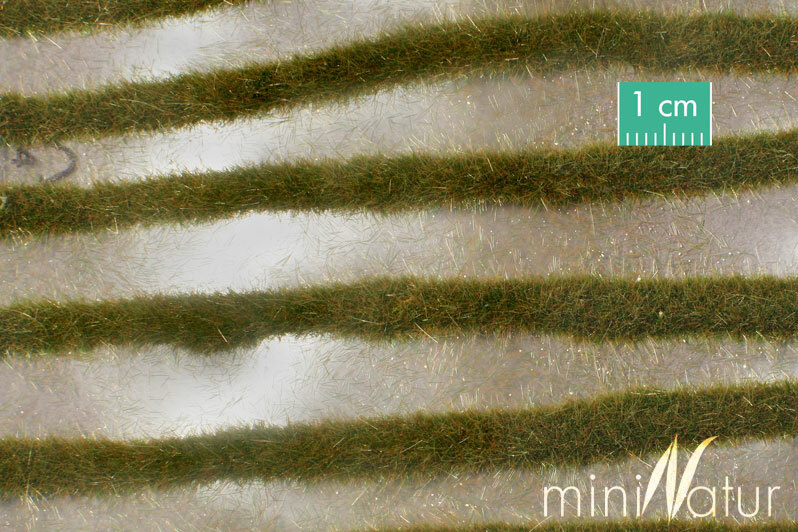 Supplied in a semi-rigid clear plastic box. 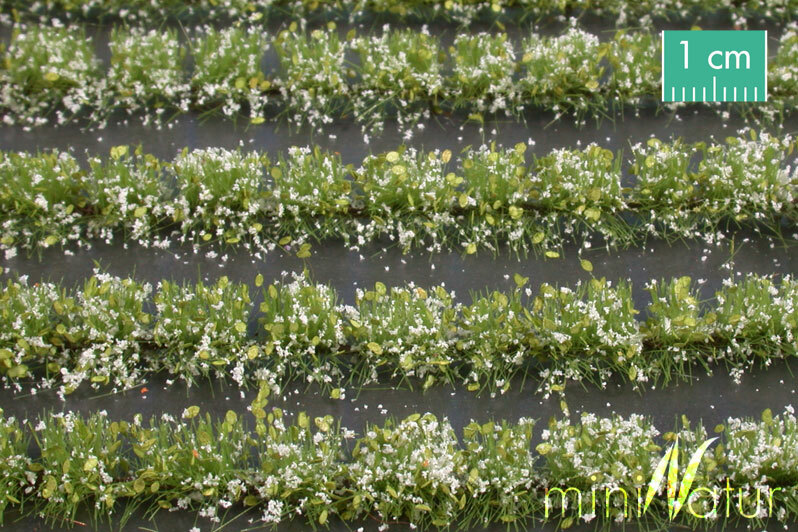 miniNatur's white flowers pack contains one 15cm long strip supplied in a semi-rigid clear plastic box. 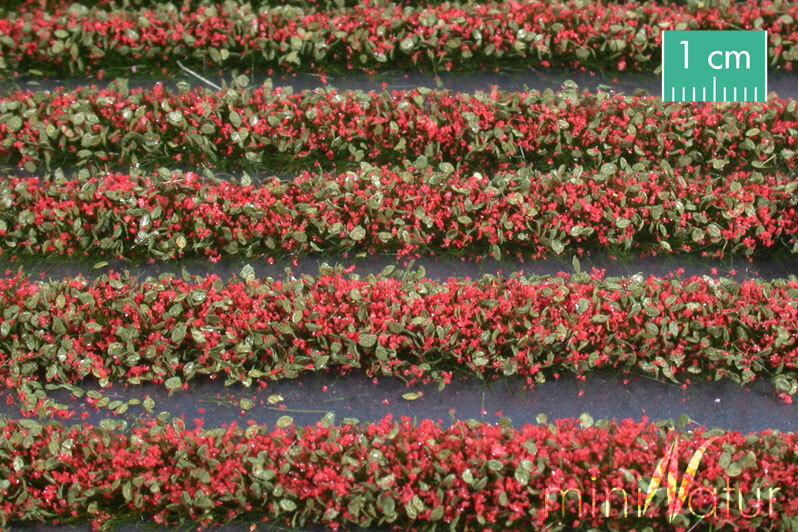 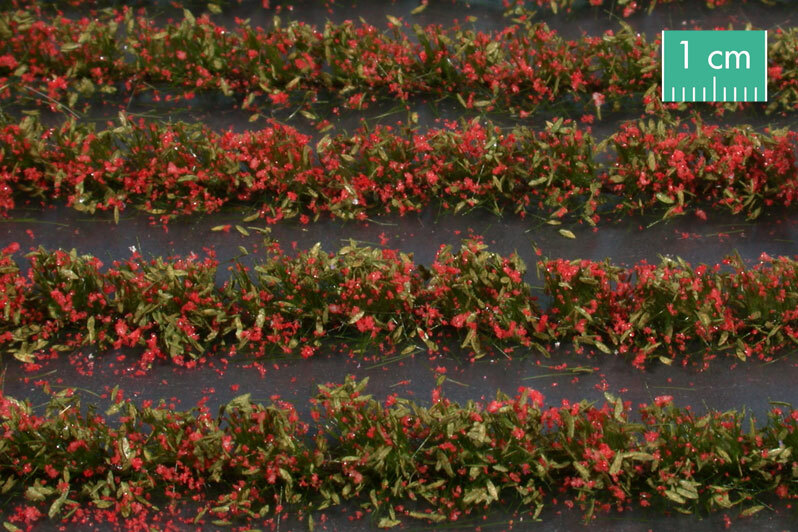 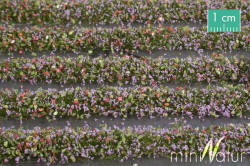 The flower strips are double ended, allowing for the choice of stem length and doubling the potential number of flowers that can be produced. 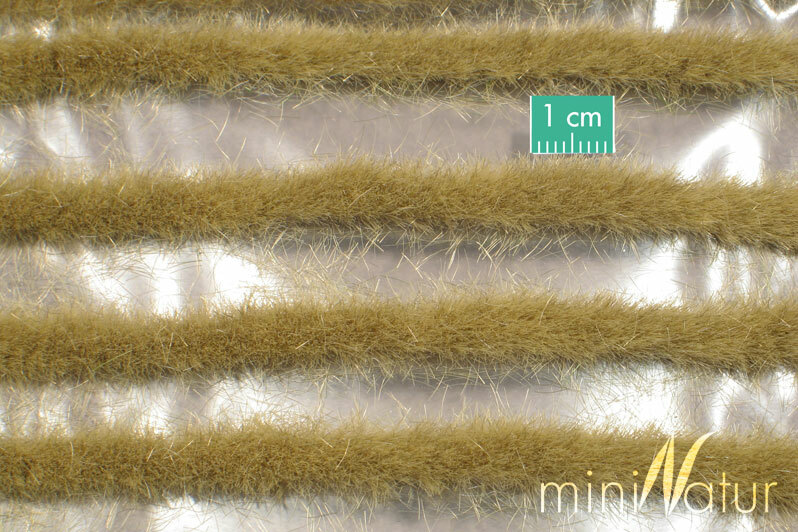 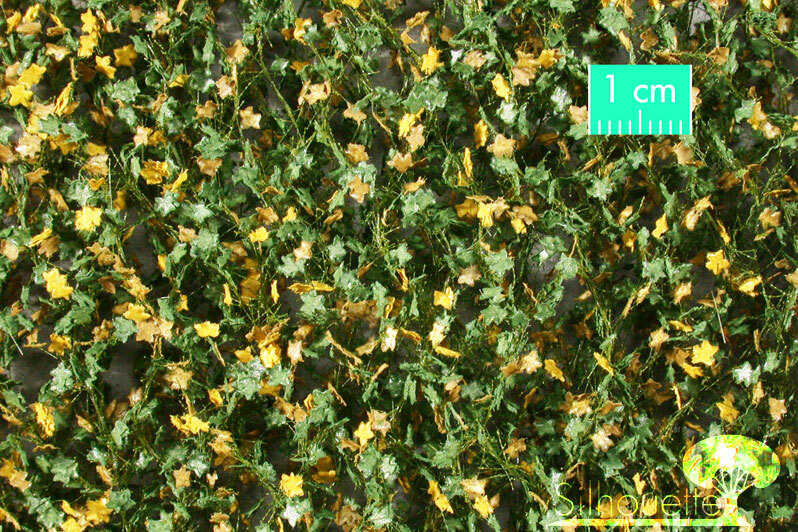 miniNatur's yellow flowers pack contains one 15cm long strip supplied in a semi-rigid clear plastic box. 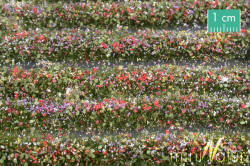 The flower strips are double ended, allowing for the choice of stem length and doubling the potential number of flowers that can be produced. 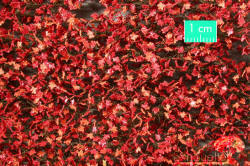 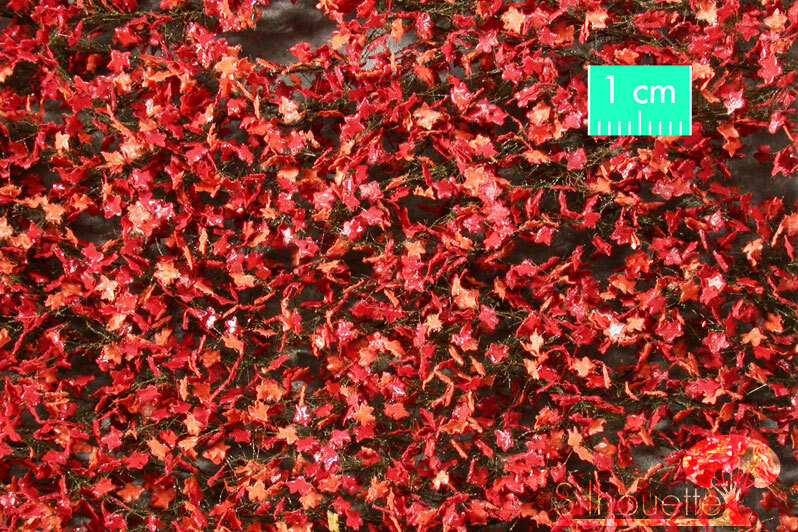 miniNatur's red flowers pack contains one 15cm long strip supplied in a semi-rigid clear plastic box. 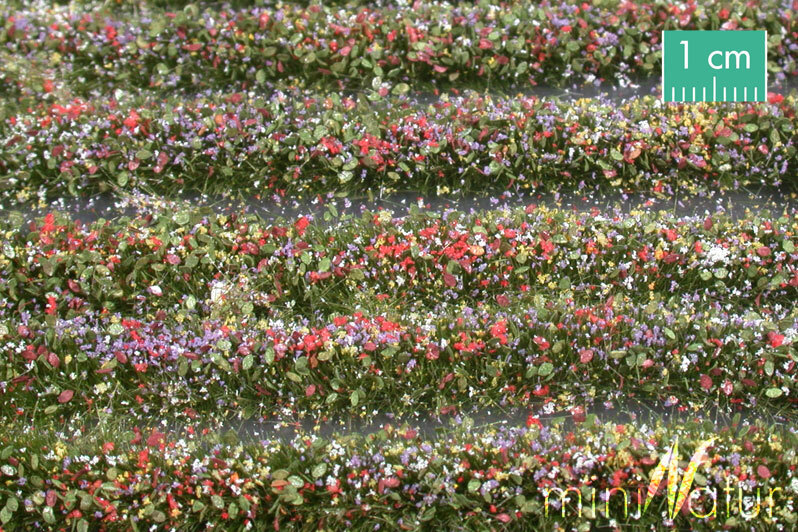 The flower strips are double ended, allowing for the choice of stem length and doubling the potential number of flowers that can be produced. miniNatur's Violet flowers pack contains one 15cm long strip supplied in a semi-rigid clear plastic box. 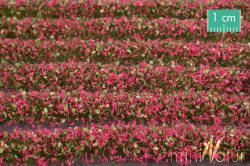 The flower strips are double ended, allowing for the choice of stem length and doubling the potential number of flowers that can be produced. 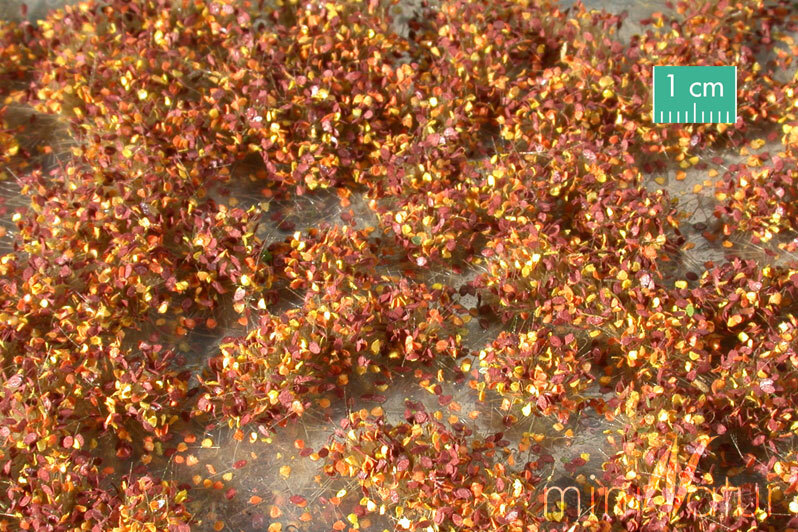 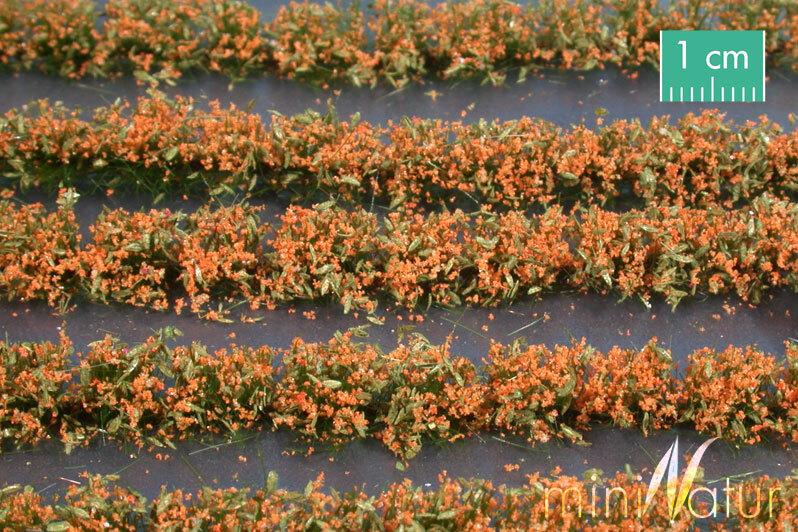 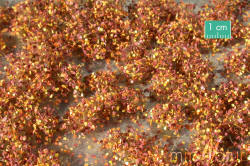 miniNatur's Orange flowers pack contains one 15cm long strip supplied in a semi-rigid clear plastic box. 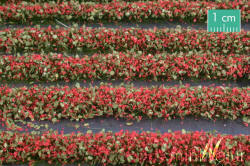 The flower strips are double ended, allowing for the choice of stem length and doubling the potential number of flowers that can be produced. 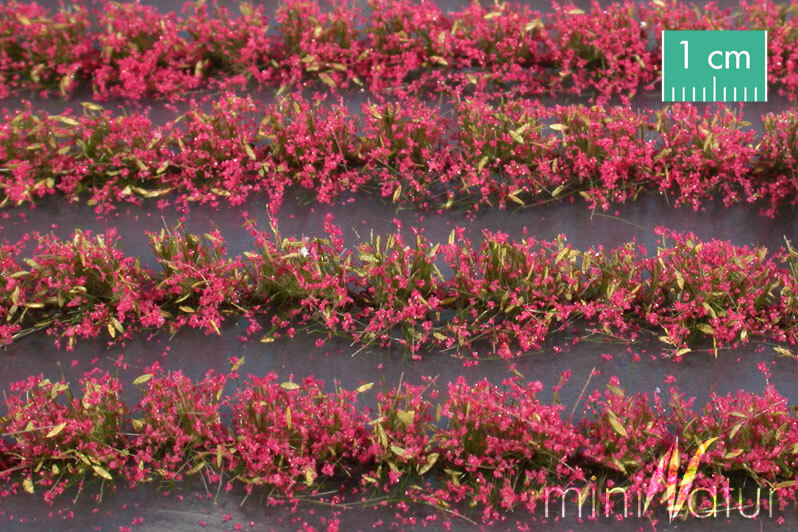 miniNatur's magenta flowers pack contains one 15cm long strip supplied in a semi-rigid clear plastic box. 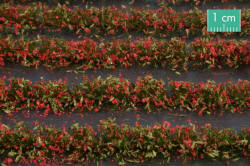 The flower strips are double ended, allowing for the choice of stem length and doubling the potential number of flowers that can be produced. 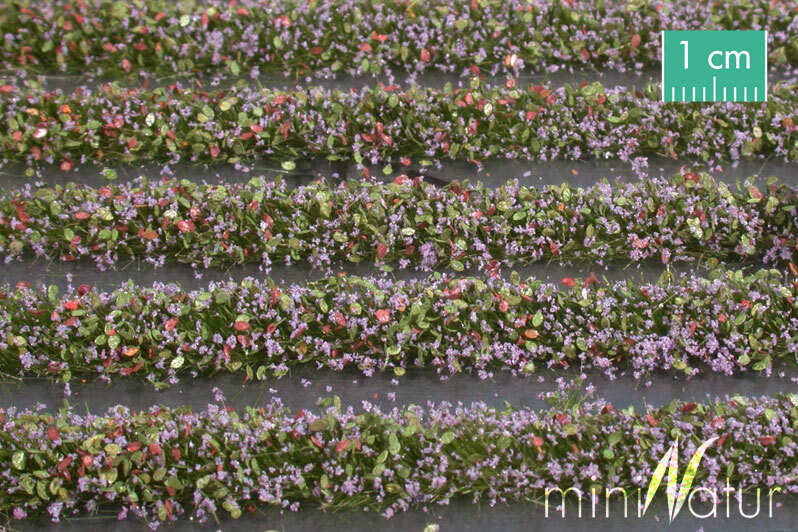 miniNatur's garden flower assortment pack contains one strip of each of the available colours (White, Yellow, Red, Violet, Orange, Magenta). 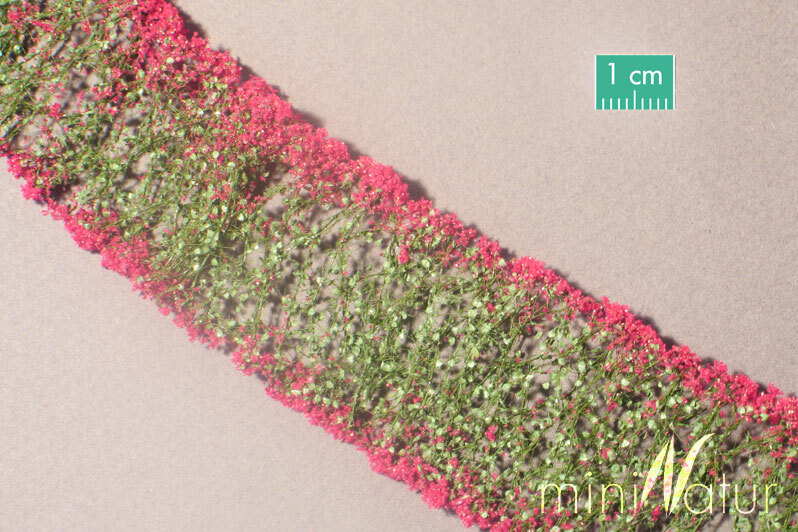 Each garden flower strip is 15cm long and double ended, allowing for the choice of stem length and doubling the potential number of flowers. 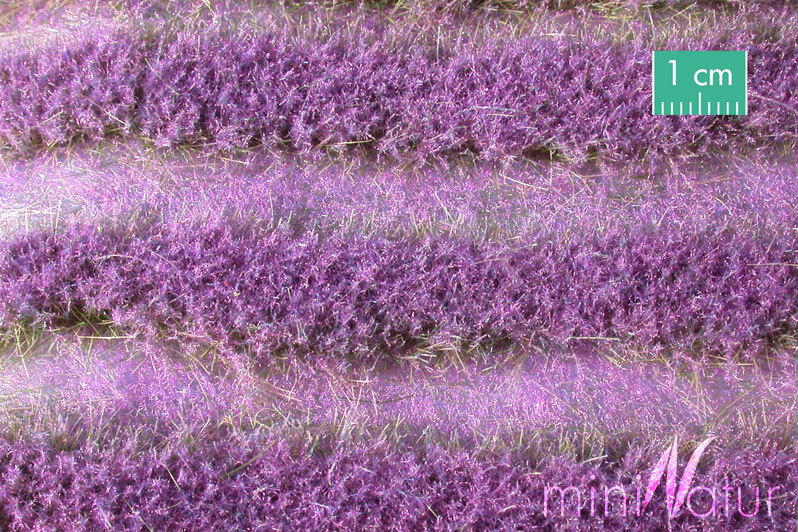 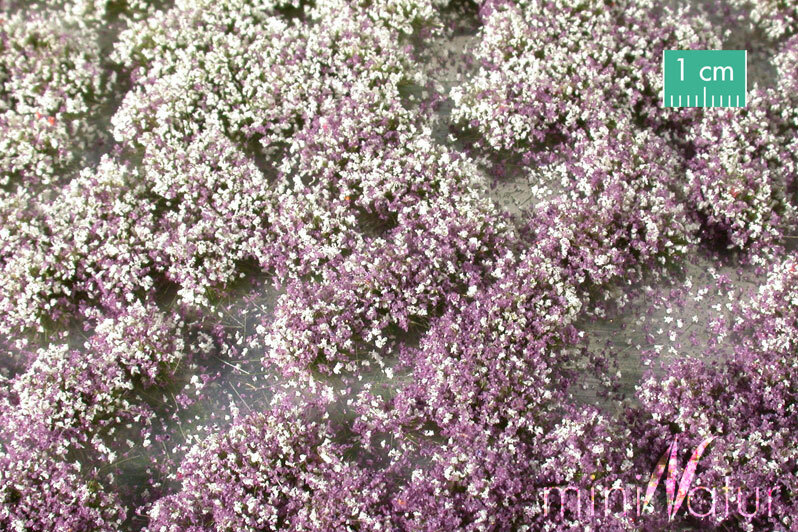 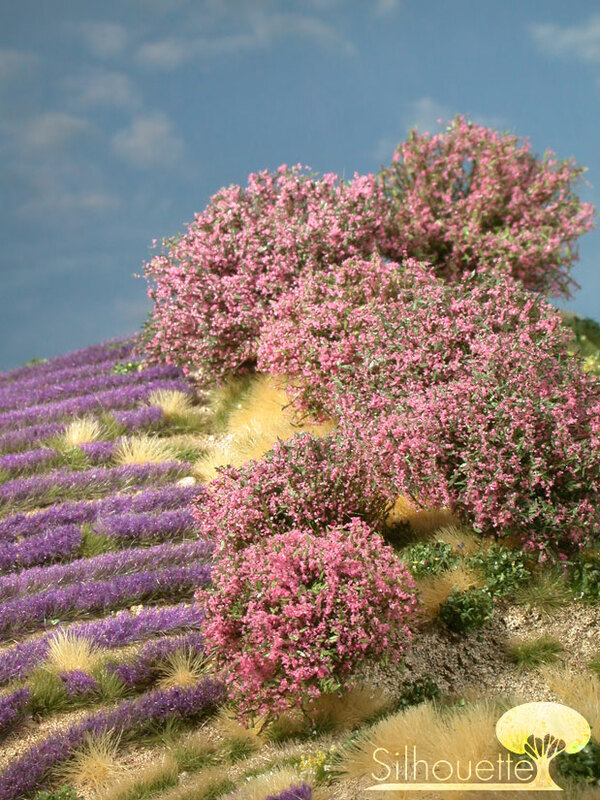 miniNatur's meadow lavender strips pack contains six grass strips topped with lavender flock. 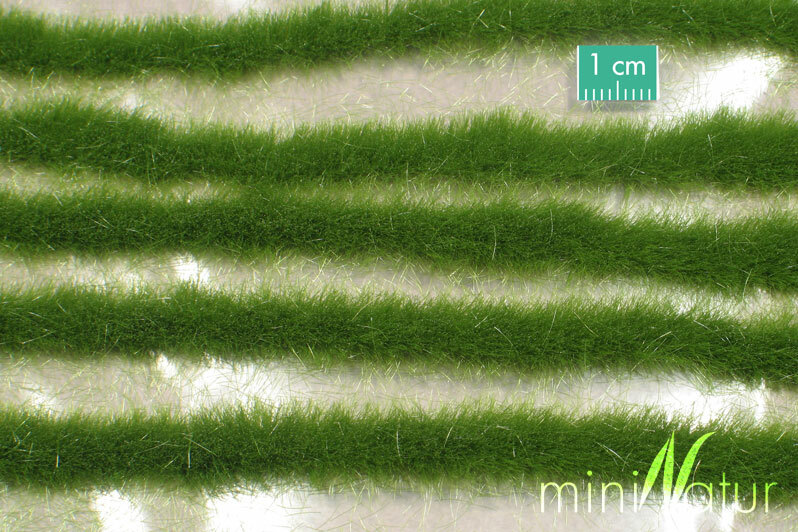 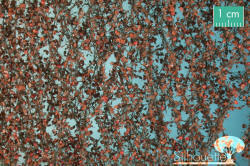 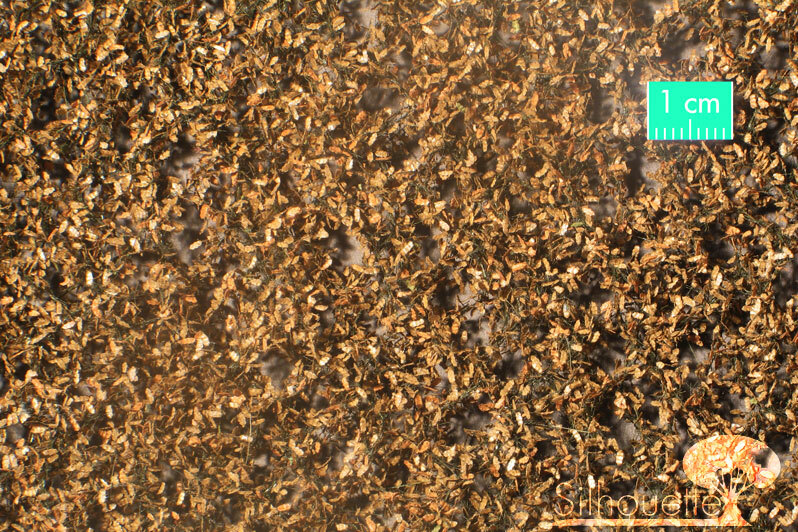 Each strip is approximately 9cm long and 1.5cm wide. 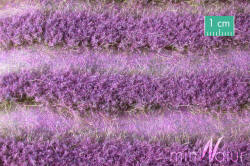 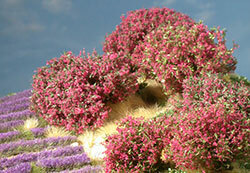 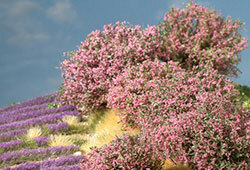 Perfect for imitating the farmed lavender fields of Norfolk or as a bedding plant for a cottage. To use, simply pull the strip from the plastic backing, cut it to length and glue it in place. Supplied in a semi-rigid clear plastic box. 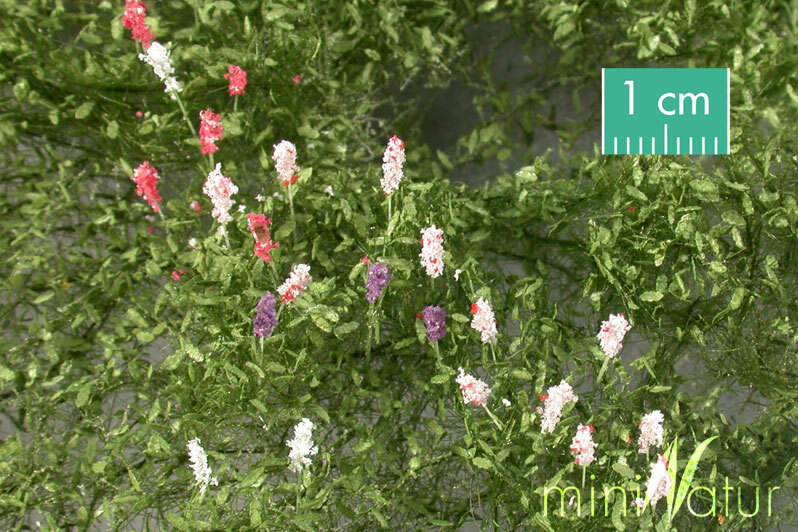 miniNatur's Summer Lupines pack contains a 5cm x 4.5cm section of Lupines with approximately 17 lupine flower heads. To use, simply take the section, cut it to size and glue it in place. 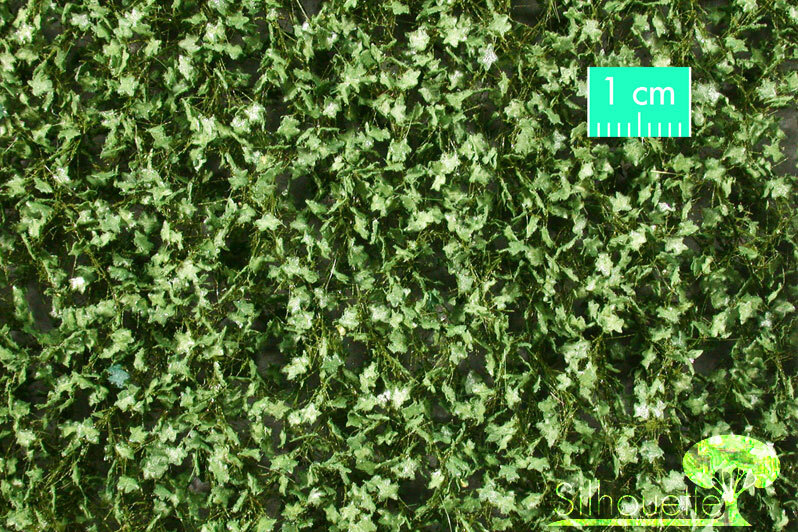 Supplied in a semi-rigid clear plastic box. 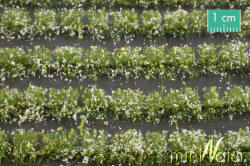 miniNatur's white blossom strips pack contains eight grass strips with leaves, with a top covering of white blossom. 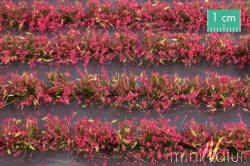 Each blossom strip is approximately 9cm long. 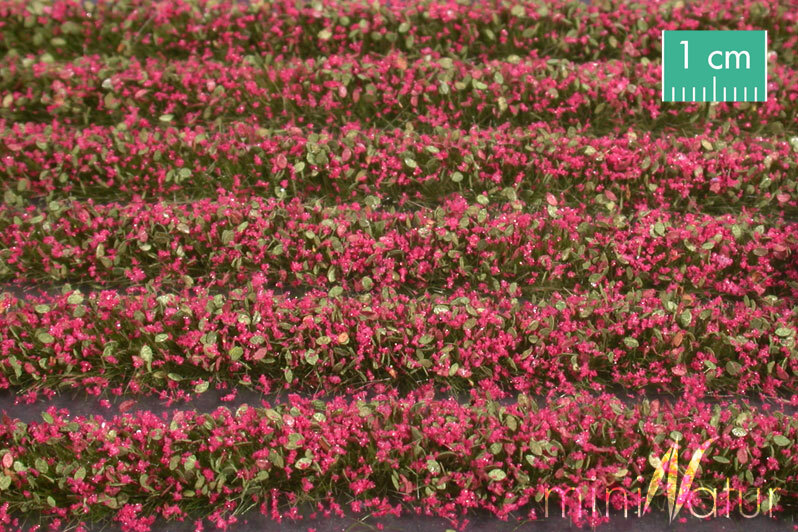 Perfect for imitating ornate flower beds, field margins, or rows of crops. 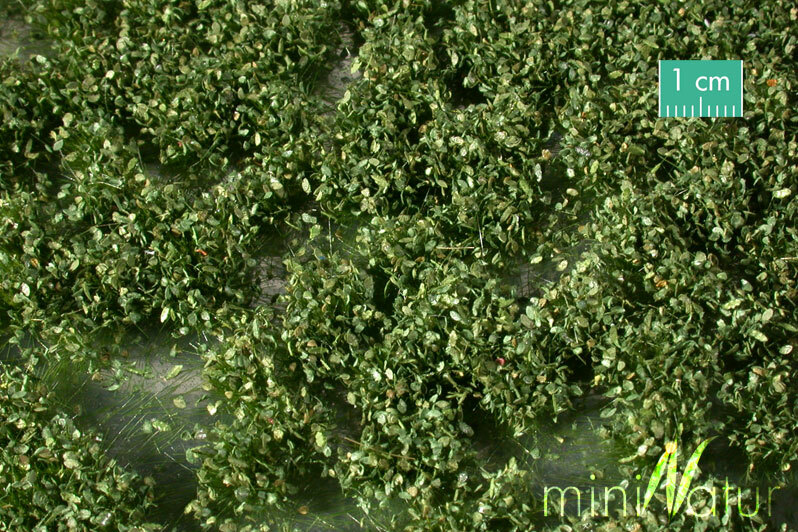 To use, simply pull the strip from the plastic backing and glue it in place. 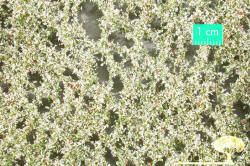 Supplied in a semi-rigid clear plastic box. 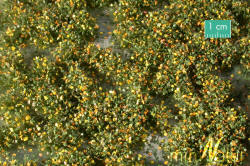 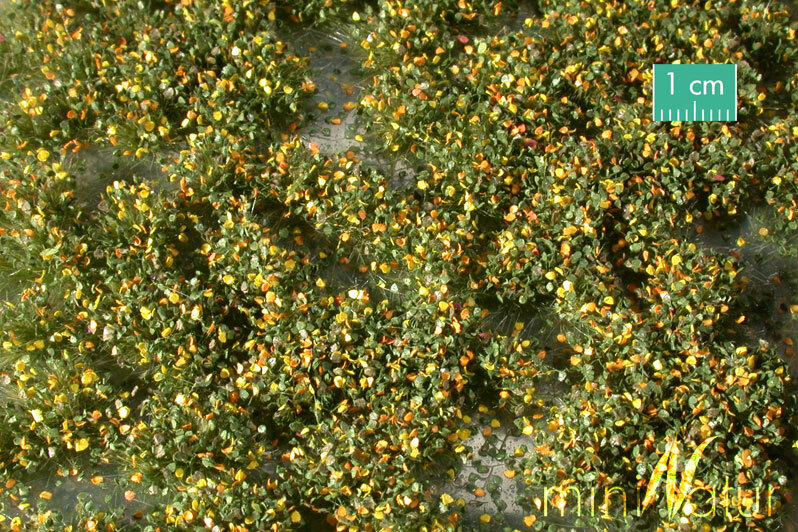 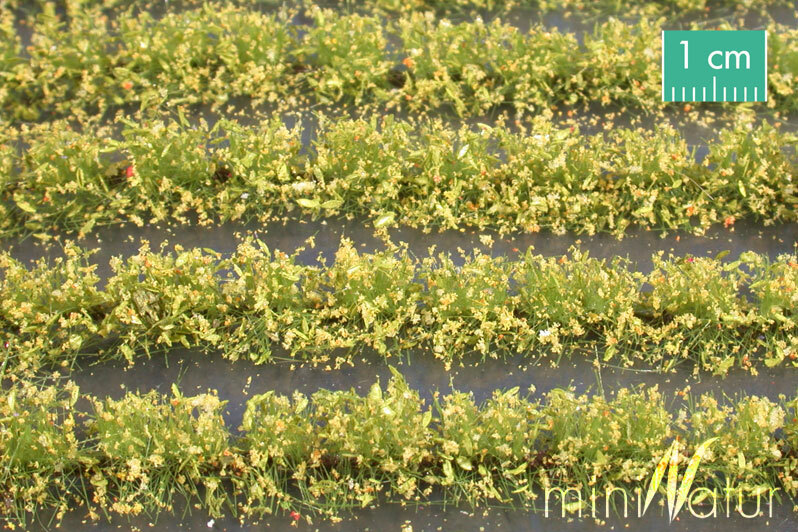 miniNatur's yellow blossom strips pack contains eight grass strips with leaves, with a top covering of yellow blossom. 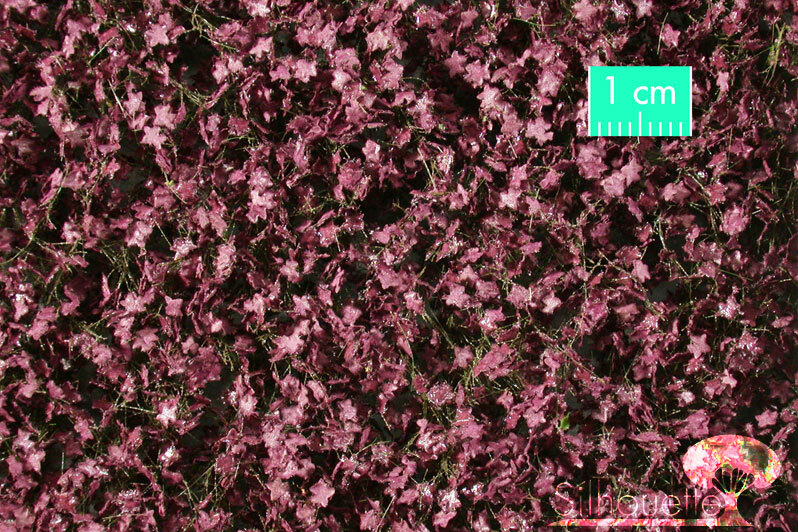 Each blossom strip is approximately 9cm long. 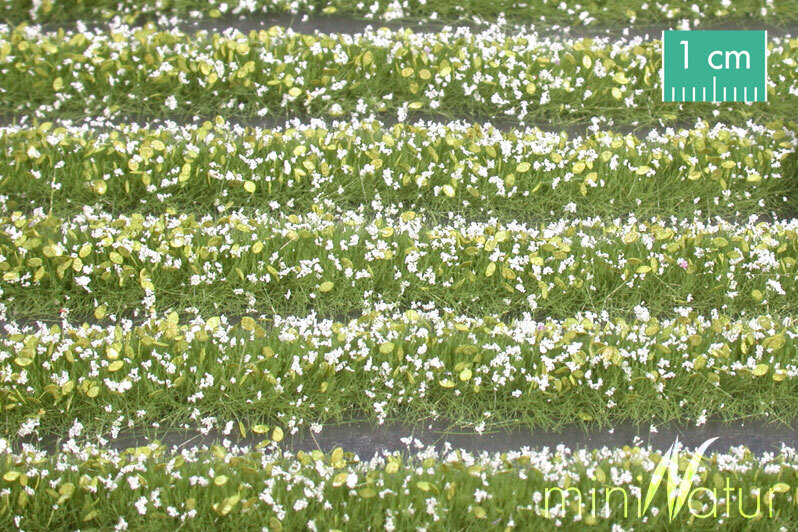 Perfect for imitating ornate flower beds, field margins, or rows of crops. 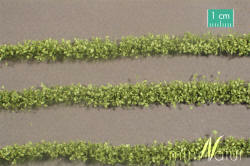 To use, simply pull the strip from the plastic backing and glue it in place. 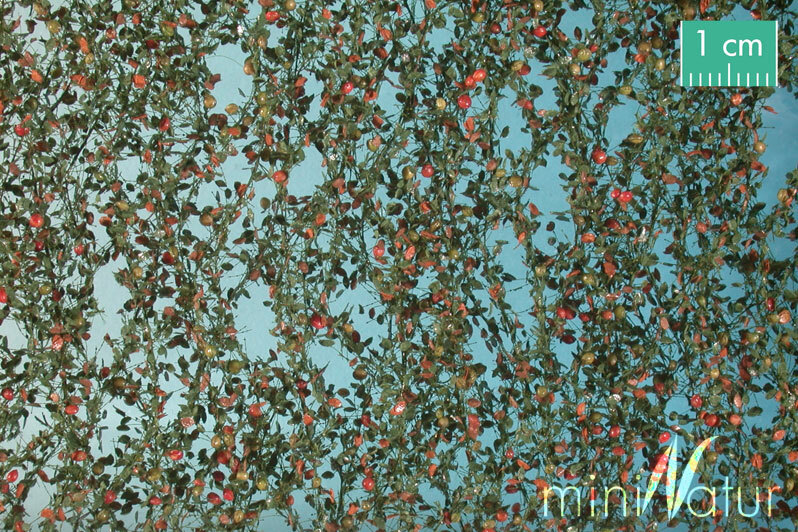 Supplied in a semi-rigid clear plastic box. 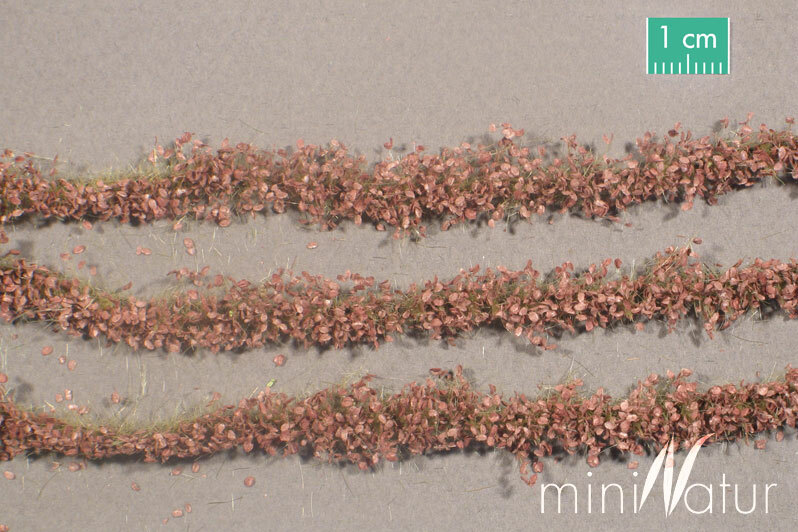 miniNatur's red blossom strips pack contains eight grass strips with leaves, with a top covering of red blossom. 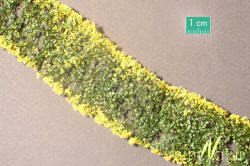 Each blossom strip is approximately 9cm long. 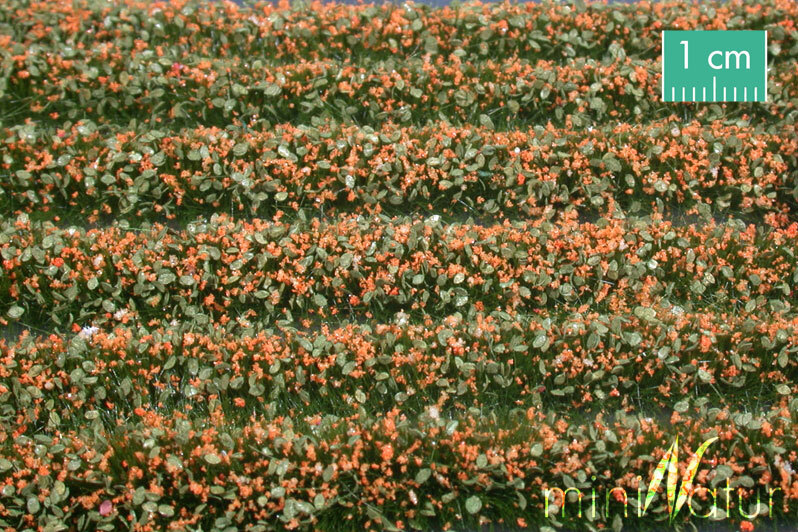 Perfect for imitating ornate flower beds, field margins, or rows of crops. 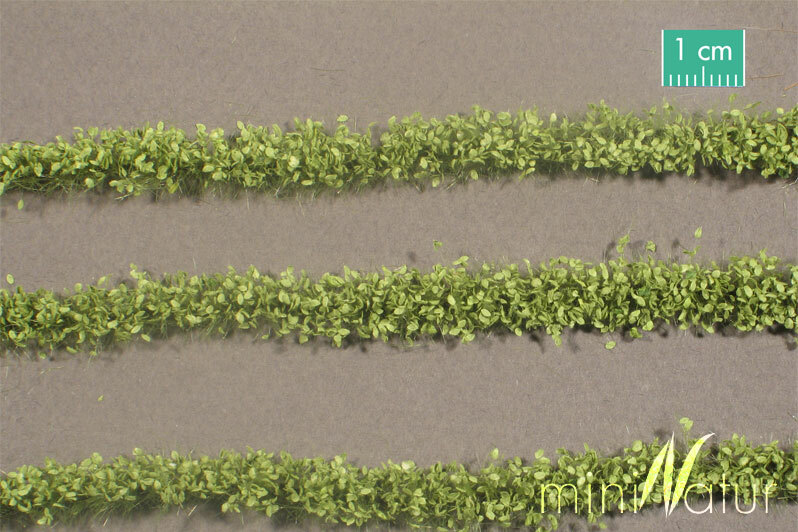 To use, simply pull the strip from the plastic backing and glue it in place. 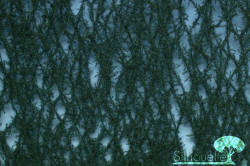 Supplied in a semi-rigid clear plastic box. 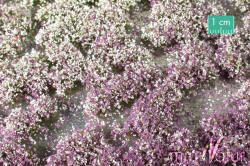 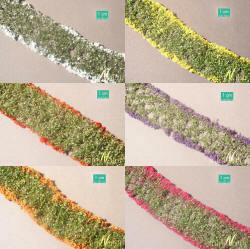 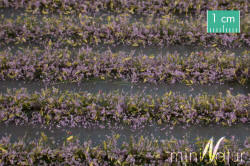 miniNatur's violet blossom strips pack contains eight grass strips with leaves, with a top covering of violet blossom. 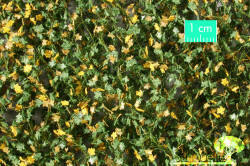 Each blossom strip is approximately 9cm long. Perfect for imitating ornate flower beds, field margins, or rows of crops. To use, simply pull the strip from the plastic backing and glue it in place. 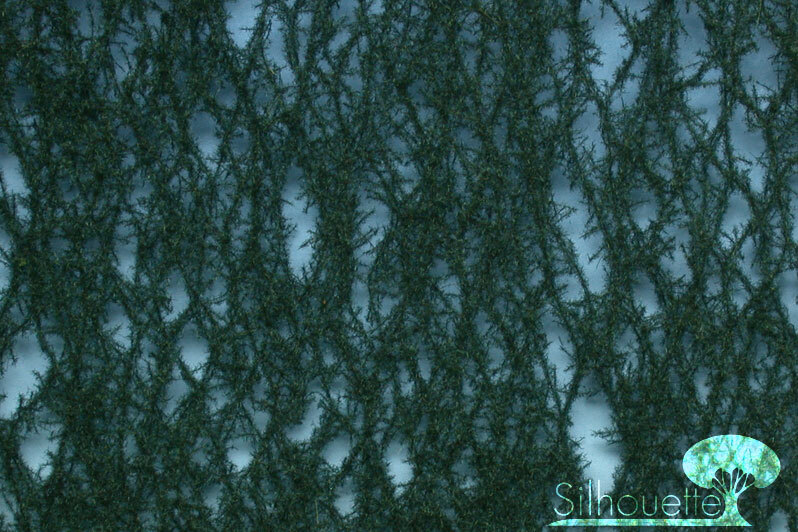 Supplied in a semi-rigid clear plastic box. 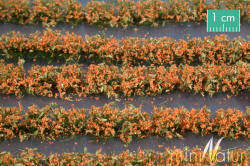 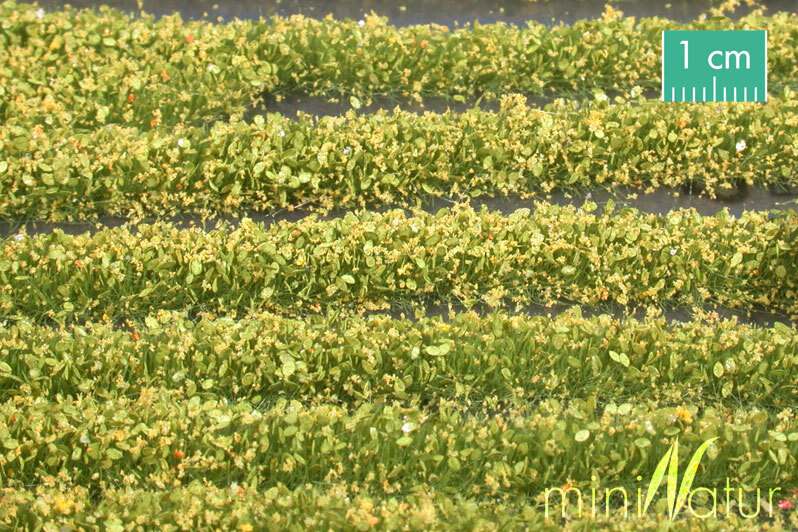 miniNatur's orange blossom strips pack contains eight grass strips with leaves, with a top covering of orange blossom. 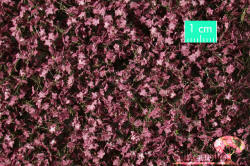 Each blossom strip is approximately 9cm long. 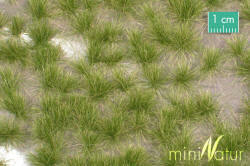 Perfect for imitating ornate flower beds, field margins, or rows of crops. 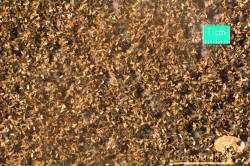 To use, simply pull the strip from the plastic backing and glue it in place. 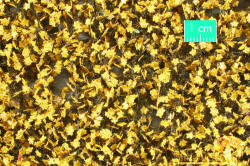 Supplied in a semi-rigid clear plastic box. 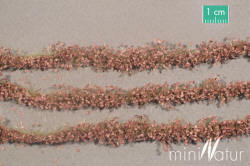 miniNatur's magenta blossom strips pack contains eight grass strips with leaves, with a top covering of magenta blossom. 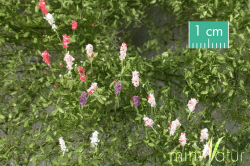 Each blossom strip is approximately 9cm long. 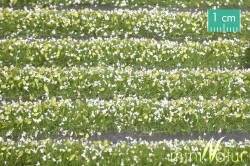 Perfect for imitating ornate flower beds, field margins, or rows of crops. To use, simply pull the strip from the plastic backing and glue it in place. 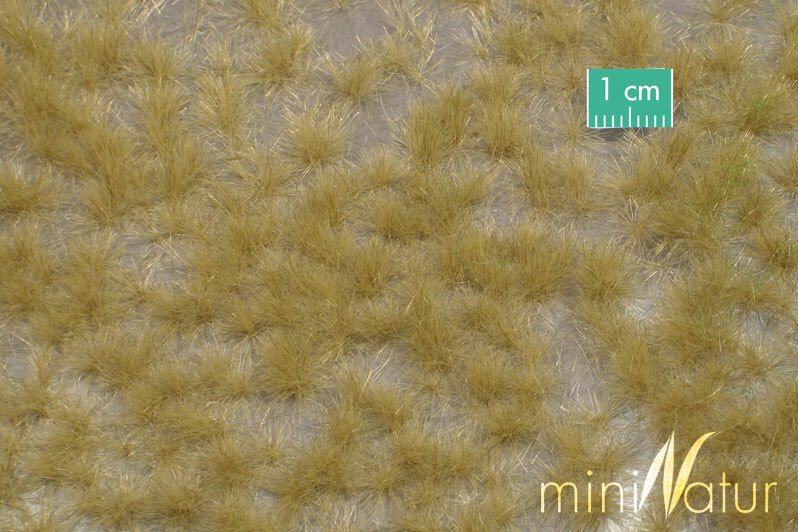 Supplied in a semi-rigid clear plastic box. miniNatur's colourful blossom strips pack contains eight grass strips with leaves, with a top covering of colourful blossom. 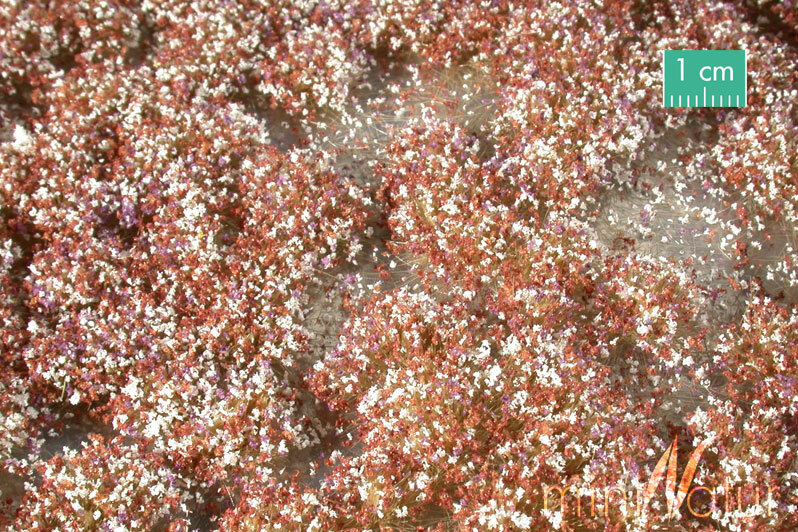 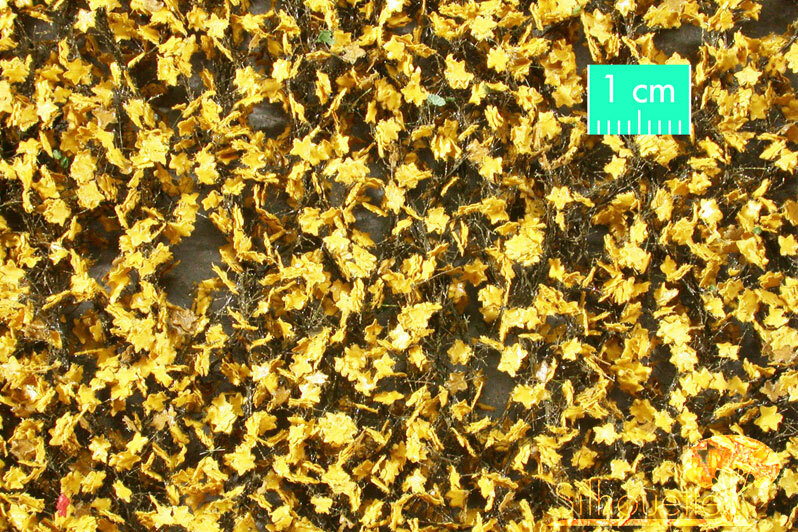 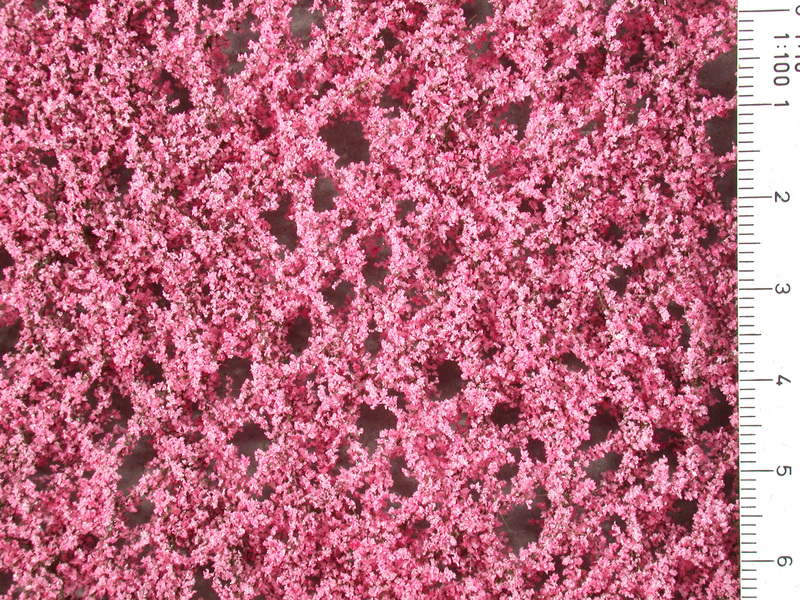 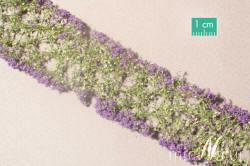 Each blossom strip is approximately 9cm long. 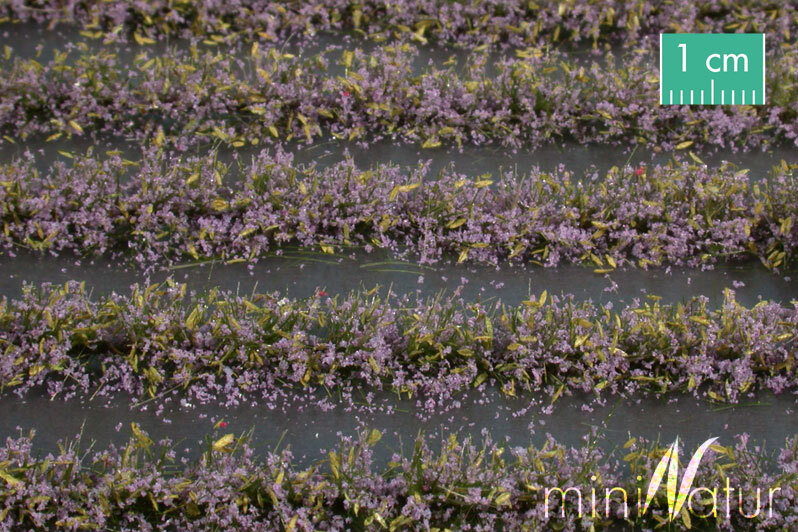 Perfect for imitating ornate flower beds, field margins, or rows of crops. 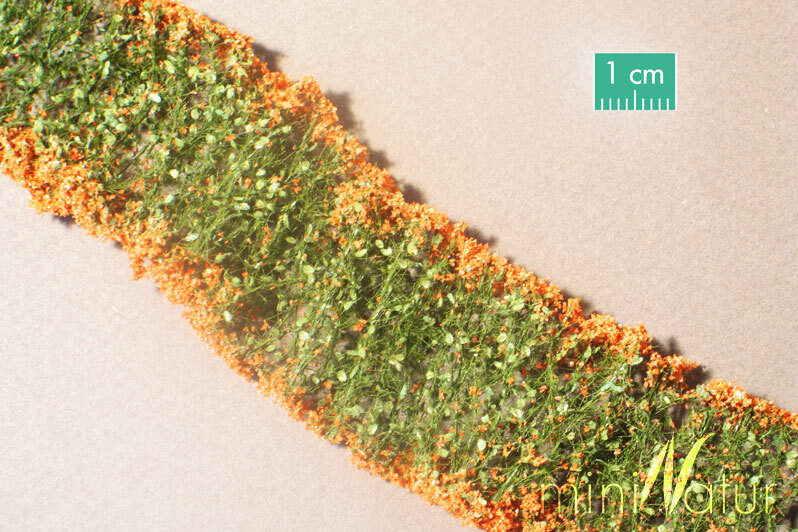 To use, simply pull the strip from the plastic backing and glue it in place. 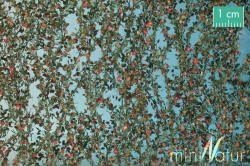 Supplied in a semi-rigid clear plastic box.